Wouldn't it be cool if they removed the pediment, and re-installed the balcony? Wouldn't it? I love that balcony and the doorway leading out to it. Maybe it's the season and my heritage, but my first thought on seeing that picture with the balcony was - "What a cool place to watch a parade from." 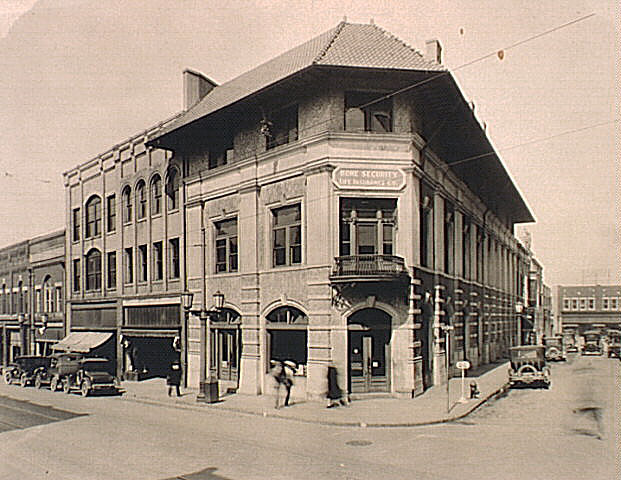 The building was used as the headquarters of the Home Security Life Insurance Company, formed in 1916 (and initially located in the Trust Building next door). 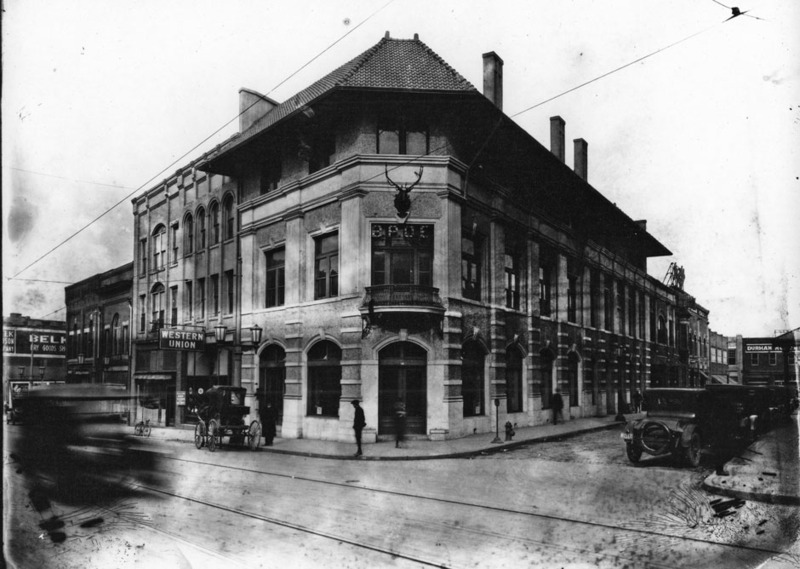 The Elks were located on the second floor, and the Odd Fellows on the third - giving the building its name. Below, the antlers and "B.P.O.E." are visible at the second floor. 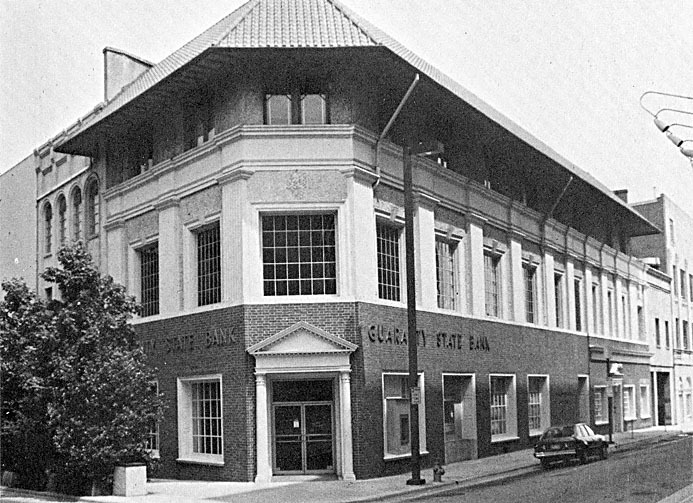 By the 1950s, Home Security Life had decided to expand, and in 1957 built a new building at S. Duke and W. Chapel Hill Streets, now the police department. 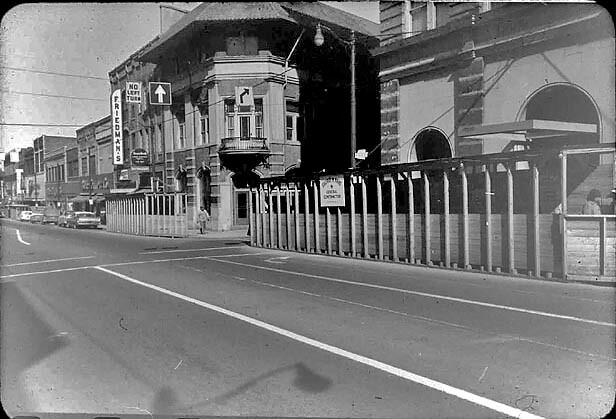 Below, the Temple building, 1960. 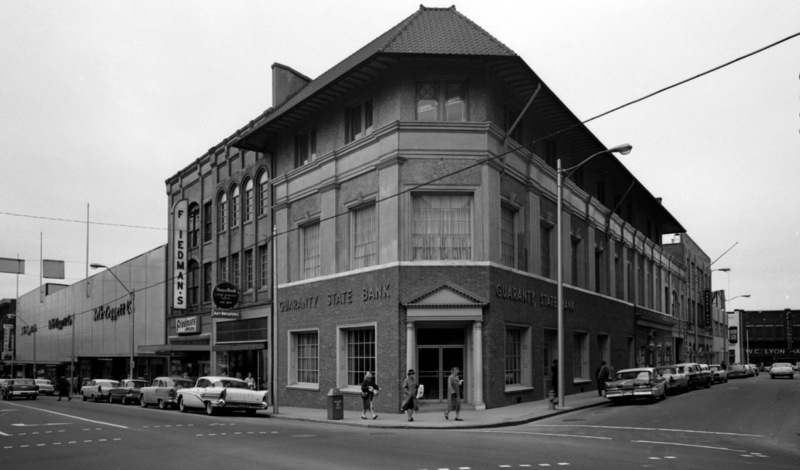 In the early 1960s, the Temple building became the home of the Guaranty State Bank. An unsympathetic remodeling of the first floor with a pseudo-colonial style significantly altered the facade of the buildilng. This was later extended to the building just to the west on W. Main, further muddling the distinctiveness of the building. In recent years, the building was purchased by Self-Help, who undertook a signficant rehabilitation of the building.